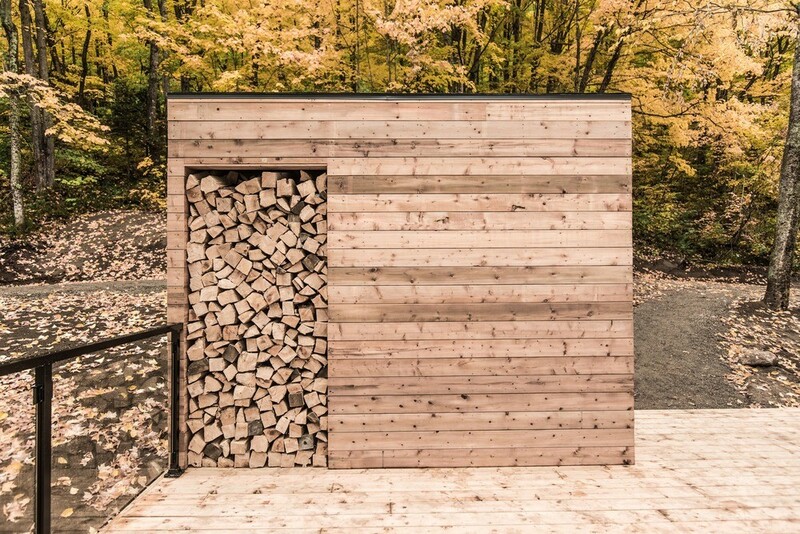 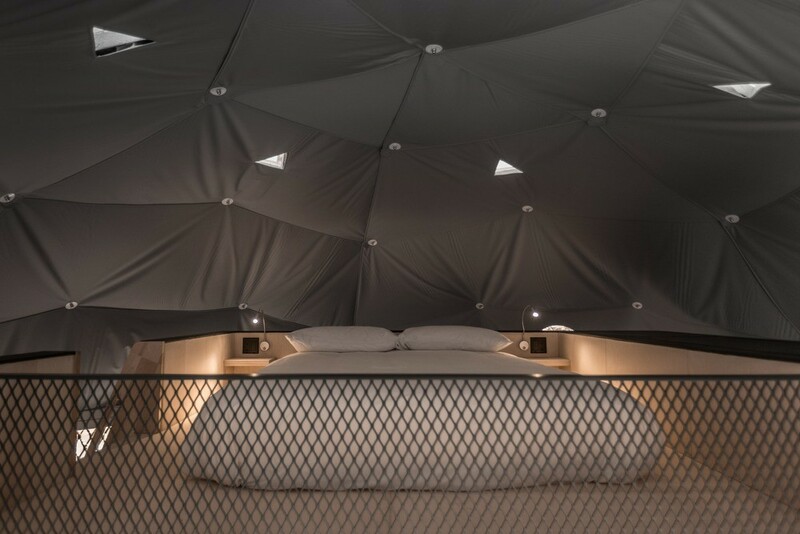 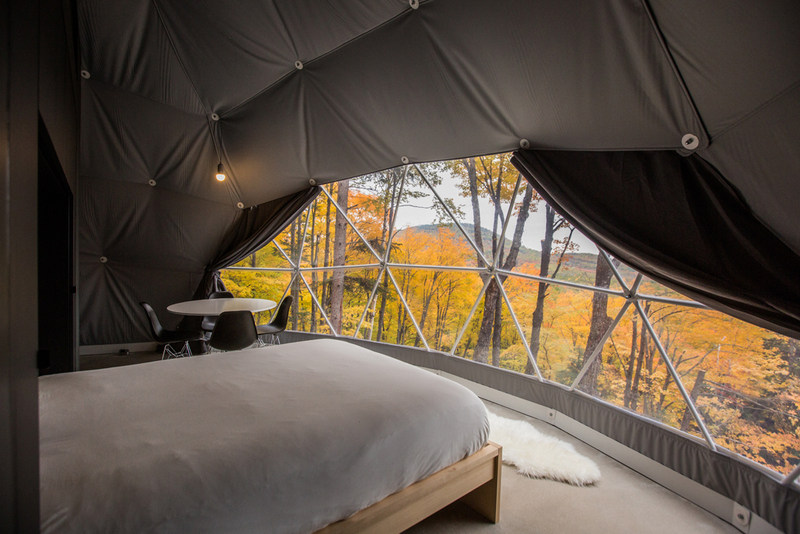 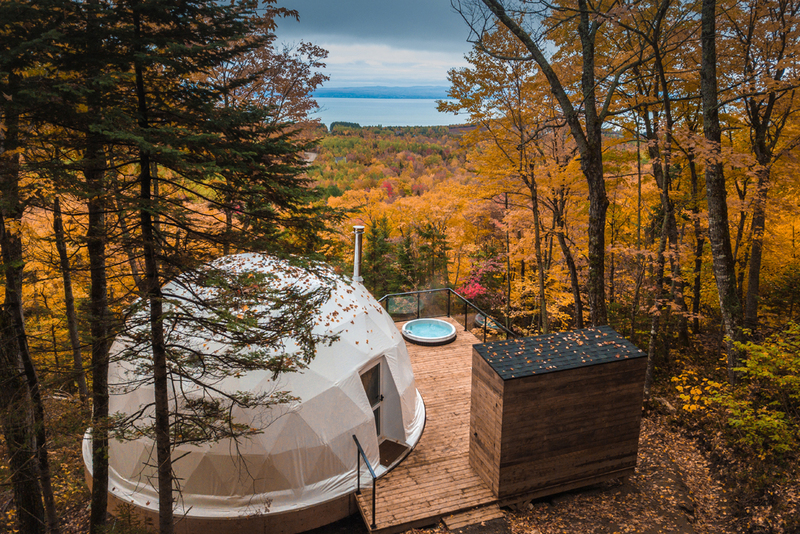 “Dômes Charlevoix” is a new concept of four seasons eco-luxurious accommodations located in Petite-Rivière-Saint-François, next to the Massif de Charlevoix, near Quebec City. 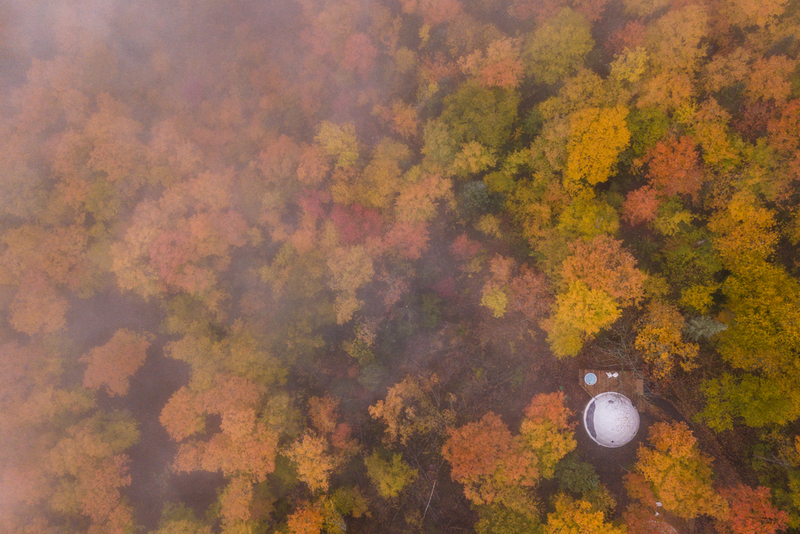 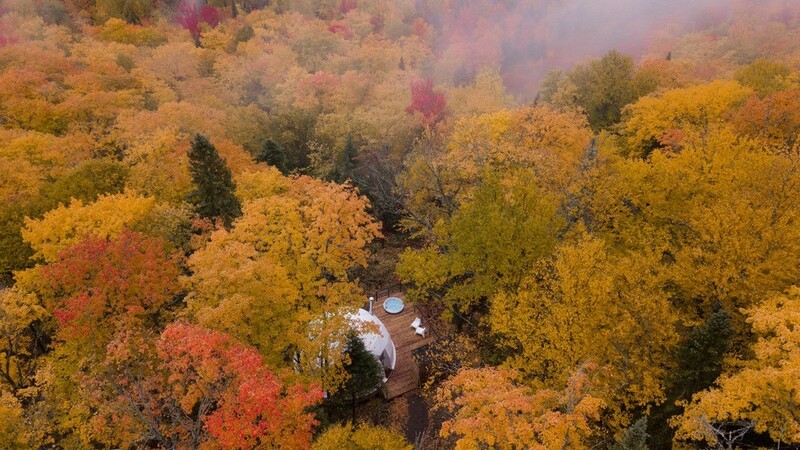 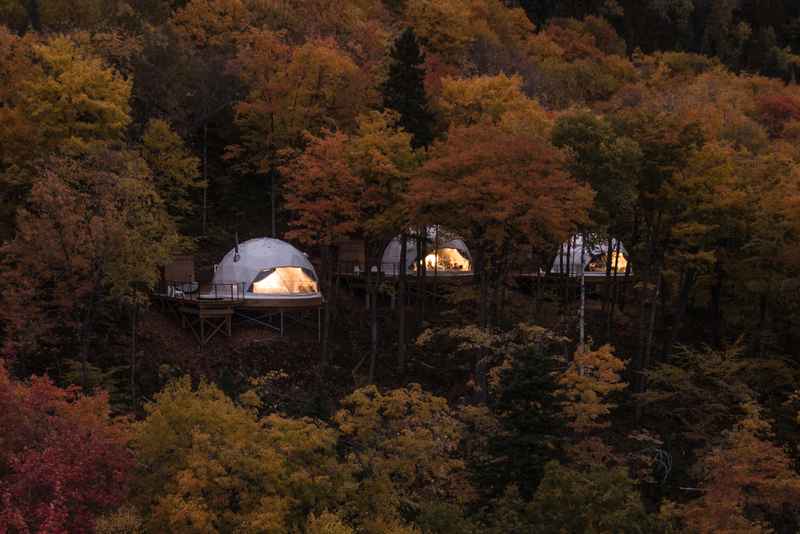 A three dome haven hidden amongst the trees and foliage, and thoughtfully integrated into the French-Canadian countryside. 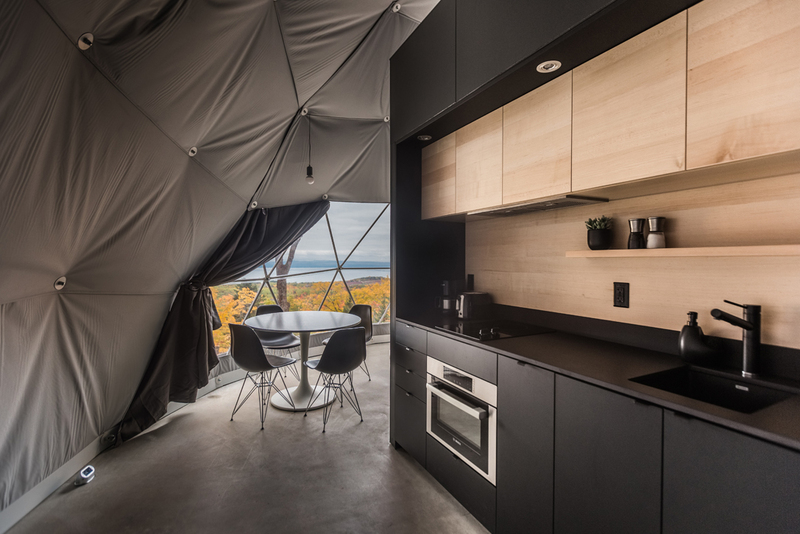 The constructs are set atop wooden foundations, utilizing south-facing windows to maximize natural light, physical immersion, and breathtaking views of the St. Lawrence River. 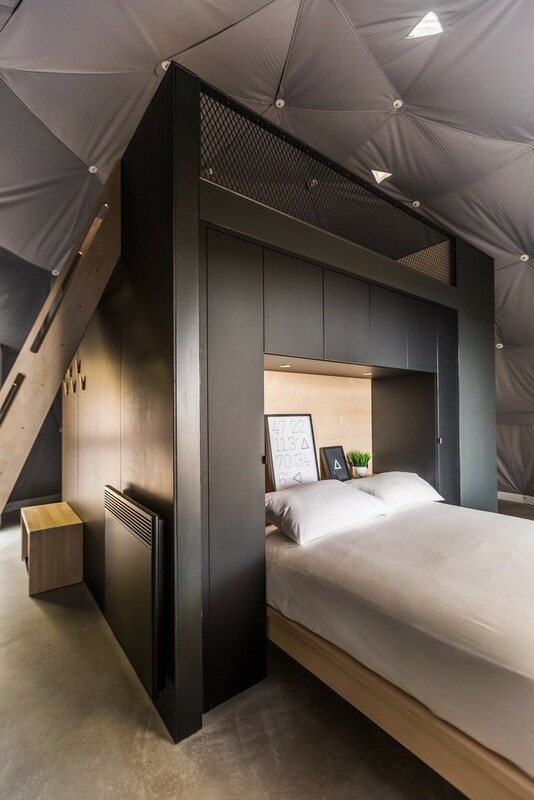 The interior is adorned in gray canvas and utilizes a blend of concrete, stained wood, and minimalist appliances in order to provide a calm, cozy atmosphere for denizens. 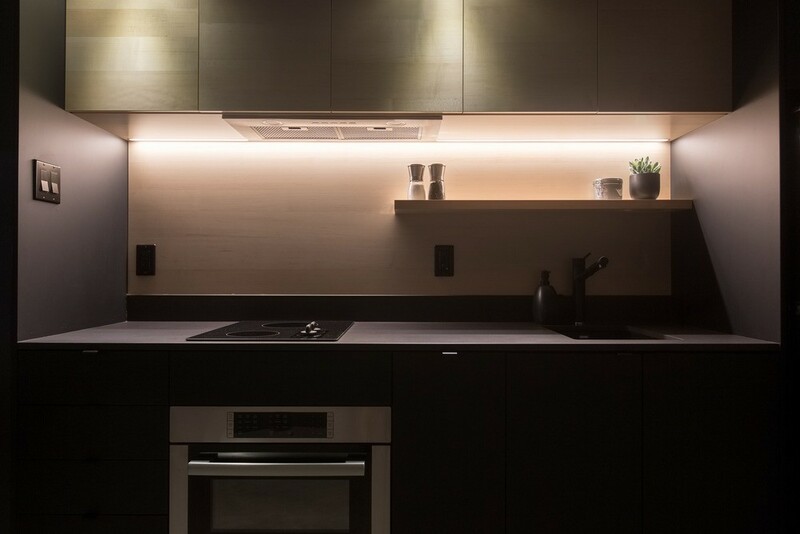 The living area of the home gives way to a black, streamlined kitchen space. 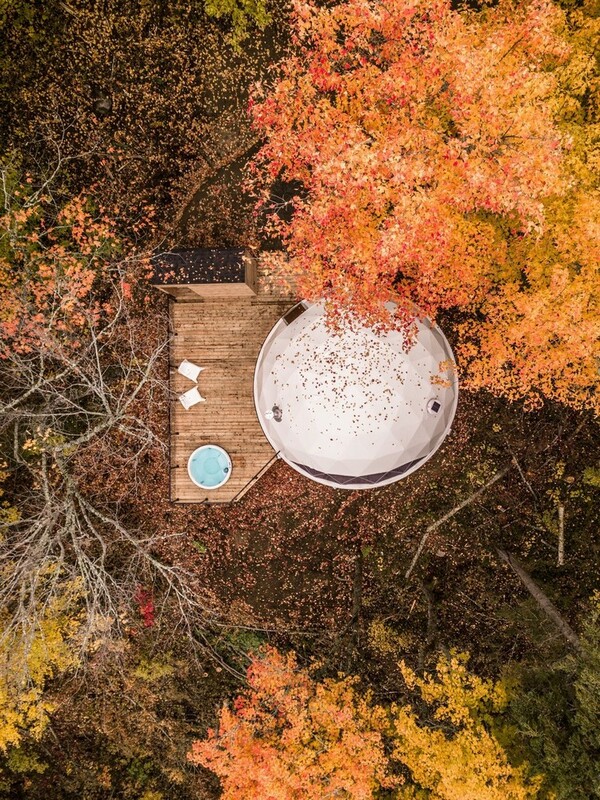 The main bed, bath, and Italian shower are tucked neatly away, with a boat staircase that leads tenants to a convenient second-floor sleeping area. 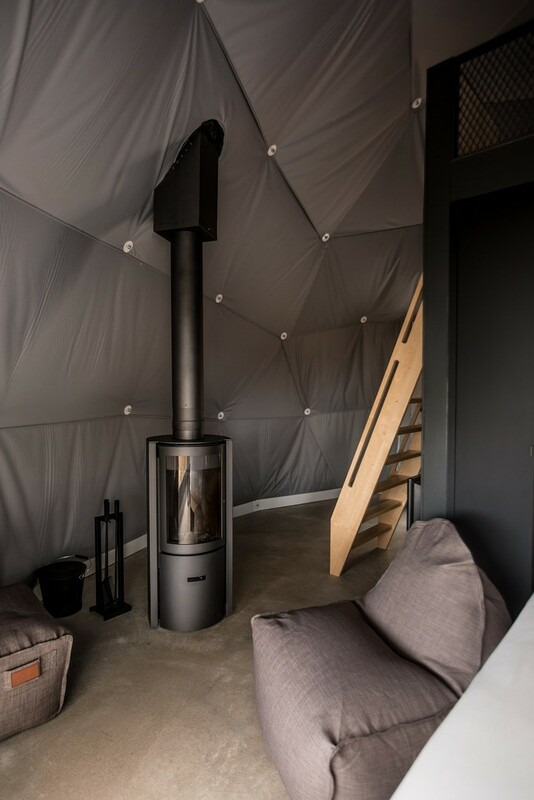 After viewing this eco home be sure to check 25 prefab shipping container homes.